Now to the rolling stock. 1. Alf a Beyer, Peacock 2-4-0T loco of Isle of Man style, but older and considerably smaller. Alf celebrates his 140th birthday this year, and weighs about 13 tons. He is in lined green livery, and looks as if he is in the same condition as the day he was taken out of service. 2. No.7 a 4-4-0 tender loco built by Thunes of Christiania (now Oslo). This loco is of the type which hauled the overnight sleeping car trains from Hamar to Trondheim, though I don't think this one ever worked on that line. It is of an extremely interesting design, the architecture of the loco showing several influences. It (like Alf) has a huge kerosene headlight, the basic design has English influences, but the cab is very nineteenth century American, being a spacious timber construction in varnished finish. The boiler cladding is grey (probably to represent planished iron), with brass boiler bands, while the four-wheel tender is black lined in red. Altogether a locomotive worthy of preservation. 3. A four-wheel second class coach of early 1870s, which is either of English construction, or based on English practice. It has a varnished timber body, neatly upholstered interior with an interesting central saloon compartment. What struck me about this was that it seemed to be in near original condition and unrestored. 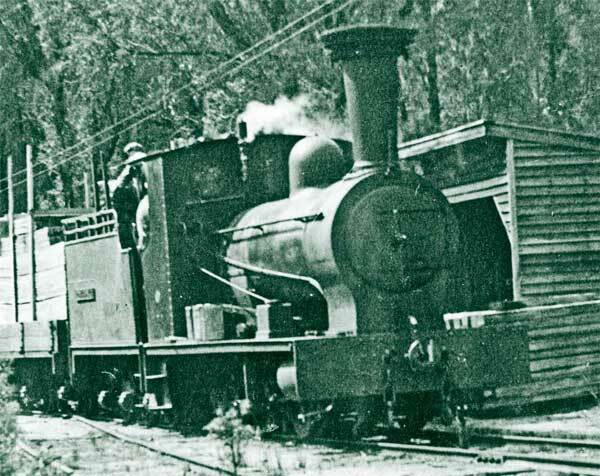 I am sure the design is similar to vehicles which operated on Australian railways of the same gauge at that time. 5. An interesting and unusual petrol railcar of 1930, with a varnished timber body. 6. An incredible petrol powered American built inspection car of 1904, of which I took lots of detail photographs because I could not believe it.